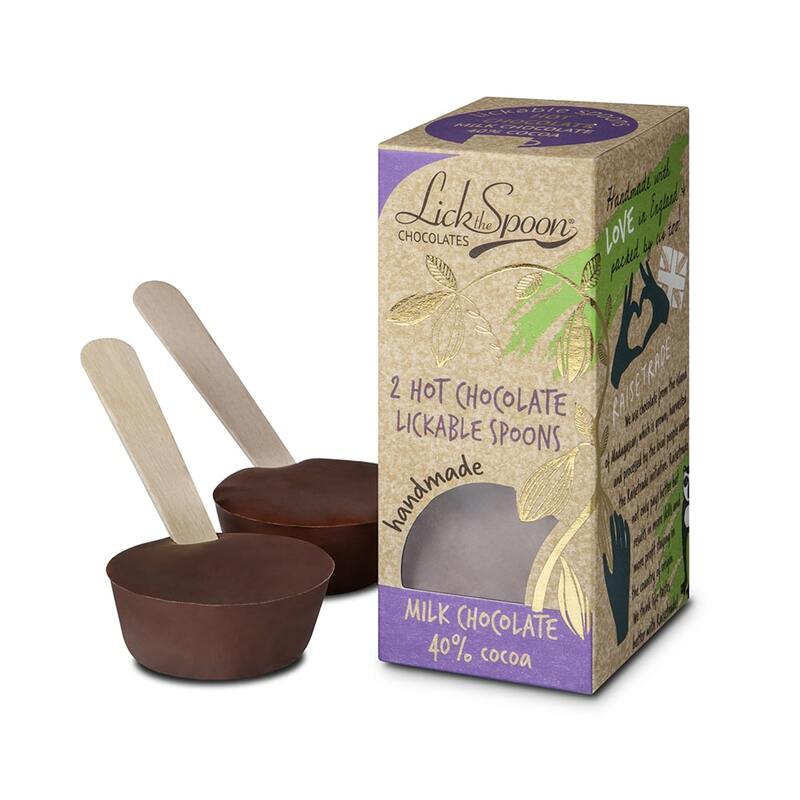 Hot Chocolate Spoons in Milk chocolate. Two per pack. The perfect way to add a little naughtiness to your hot drink! Enjoy as a tasty treat or luxurious hot chocolate. Made with our house blend milk chocolate made with 40% cocoa solids from Madagascan beans. Hot Chocolate Spoons in Milk chocolate. Two per pack. A perfect way to add naughtiness to your hot drink! Enjoy as a tasty treat or luxurious hot chocolate. 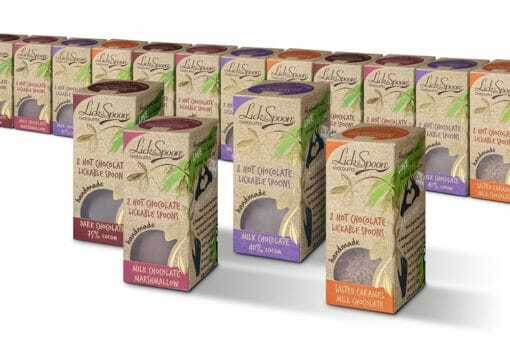 Made with our house blend milk chocolate made with 40% cocoa solids from Madagascan beans. Add to 150ml of very hot milk and stir to to create a delicious hot chocolate. Beautifully decorated with illustrations from artist Stephanie Cole with gold foil blocking. 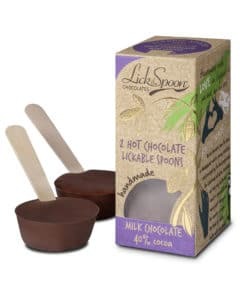 These spoons are chocolate heaven. Top quality chocolate. Dipped into hot milk – fabulous.